I just finished reading the first 211 chapters of the manga! I usually never read comics illustrations, should tell u how addictive this series is... Anyways is it true? The (first part of the) series will air July 9th? I wonder if there will be a 2nd season that covers all arcs of the manga? "The release date for this has been pushed back to August 27th to make way for https://mydramalist.com/23184-meteor-garden which is taking its July 9th slot instead." There is also that kameyameya toad kungfu that old man Ouyanfeng taught YG in the later half of the trailer too! Last edited by hirobo2; 08-30-18 at 05:29 PM. Lol, Ep 2 had a scene with ZhouZhiruo "stabbing" Zhang Wuji (story angle). 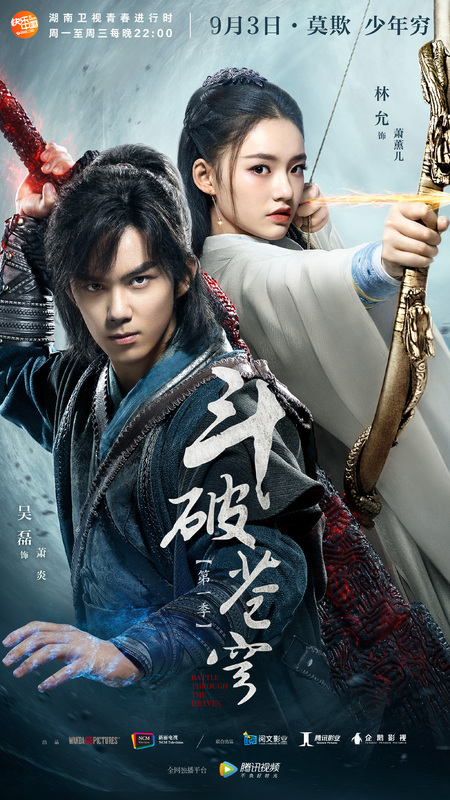 Definitely an HSDS spoof: Xiao Yan character works better as a "doctor/healer-fighter" just like Zhang Wuji... Until Ep 21 where they pulled some RoCH stuff again: Xun Er fights bare hand vs sword just like XLN vs monk at Quanzhen Sect, Xiao Han got poisoned by some incurable blood disease, etc. Liking this drama so far.